The Ventis ME300 allows one to enjoy all the comforts of its smaller counterparts. The extra large, 4.25 cubic foot firebox gives the inviting look of a large traditional hearth and can efficiently burn logs up to 20 inches long. Modern features make this model perfect for warm nights around the fire. 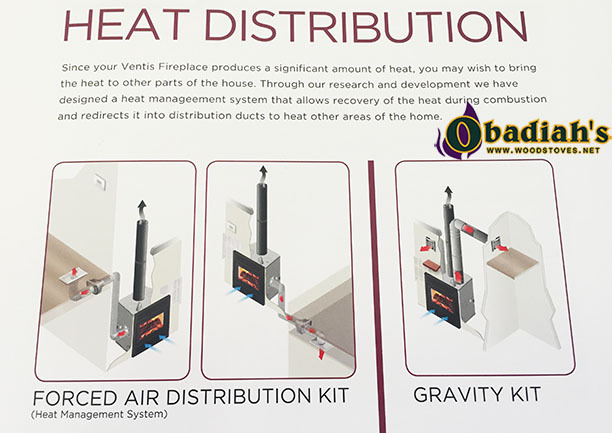 As with the Ventis HE200 and Ventis HE250 zero clearance fireplaces, the Ventis ME300 is an excellent choice for a good looking fireplace in a modern or traditional home. This model has an 8 inch chimney with an EPA Emissions Rating of 4.4 grams/hour and is capable of burning up to 20 inch logs in its 4.25 cubic ft. firebox. The modern firescreens allow this fireplace to be operated with the doors open and can generate enough heat for up to 1,500 square feet. Installation for this cozy, wood burning fireplace is available in most states and Canada. The Ventis ME300's design options allow custom comfort and style to fit your home. This zero clearance fireplace is built to last and creates a warm, inviting focal point in any home. Heating Capacity Up to 1500 Sq. Ft.